Rachel Smith has represented Great Britain in World and European Dragon Boat Racing and holds an astounding 25 medals. In 2008, Rachel joined the small group of elite women who have successfully rowed across the Atlantic Ocean. Rachel was awarded a Guinness World Record for being part of the fastest UK women’s pair to row across the Atlantic. Many are surprised to learn that Rachel has achieved all this while balancing a successful and full-time career in marketing. Rachel never excelled in sport at school, was genuinely the last to be picked for teams and in all honesty, isn’t really designed for rowing! But her love of the water led to kayaking and dragon boat racing and from the age of 16 she discovered a talent for paddle sports. Following studies in Equine Science and Business, Rachel worked in Italy and the USA before changing career and returning to the UK to work for the Bank of Scotland in marketing. An opportunity to pick up Dragon Boat Racing again saw Rachel Smith at the first World Championships in China in 1995. Totally inspired by Olympic coaches such as David Hemery, Rachel realised what could be achieved if you really want to do something and are prepared to focus on taking the steps to succeed. She qualified for the National Team on every attempt since 1995. As part of the GB team, Rachel won 25 World and European Championship medals, a world-record for the 1,000m Women’s event and a host of other international titles. Rachel knows that winning at competitive sport can only come with a real understanding of teamwork, staying focused during tough times, and using techniques such as visualisation to achieve goals. In 2011, Rachel joined the GB team once again as helm at the world championships in America. 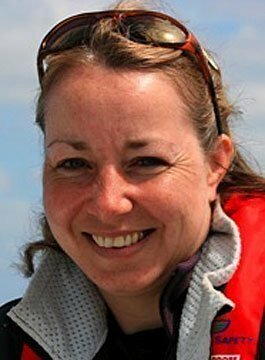 It was friend and solo trans-Atlantic rower Debra Searle who encouraged Rachel Smith to take on the Atlantic challenge. Rachel decided to row in the two-handed Atlantic race with her friend Lin to raise funds for Breast Cancer Care. For Rachel, raising awareness and funds was taken as seriously as training to row the ocean raising over £65,000 for the charity. Recognition came in winning an HBOS Award for Fundraising and reaching the final of The Sun/Everyclick Fundraiser of the Year Awards. In May 2012 Rachel was a Torch Bearer for the London 2012 Olympic Games carrying the flame through Chester. Rachel’s book about rowing across the Atlantic, ‘Antigua or Bust’, was published in 2011. As a motivational speaker Rachel Smith draws on her marketing and business background to ensure the messages arising from her sporting adventures have real resonance as well as practical application. Engaging and modest, Rachel’s enthusiasm is infectious and she has the ability to reach audiences no matter what their age or status. She regularly works for the Princes Trust encouraging young people to make the most of opportunities and work towards goals. During talks, Rachel brings alive the experience of her Dragon Boat feats and rowing the Atlantic. Continually challenging herself by setting goals and wishing to try new things, Rachel Smith is qualified to scuba dive, sail and drive a power boat and enjoys surfing, horse riding, and walking. In 2009, she took part in a 39mile kayak marathon with her cousin, paddling the length of Loch Lomond, Windermere and Bala Lake in just 14.5 hours (including the driving) raising over £2,300 for Christie’s Hospital. Rachel had appeared on This Morning, Ready Steady Cook and Granada Reports in addition to numerous interviews about rowing the Atlantic and Dragon Boat Racing on television, newspapers and magazines. "Sincere thanks for the wonderful speech you gave at our dinner. Not only was your talk extremely interesting and informative but also so entertaining. You are an inspiration for all of us." "Rachel amazed the audience with her tales of endurance and determination - they couldn’t wait to see what the next slide revealed. Her talk was both inspiring and funny - she has a great natural warmth and immediately connected with the audience." "The theme of our Conference was “Reach for the Stars – realising organisational and personal potential” and you were a fabulous illustration of what can happen when you look beyond the ordinary and challenge yourself to do the extraordinary. A truly exceptional account of a truly amazing and awe-inspiring achievement." "Rachel spoke at the opening ceremony of our National Championships in front of 2500 college students. To hold the attention of that number of teenagers from all areas of the UK is a triumph in itself but added to her inspirational and uplifting story the whole event was a tremendous success. I challenge anyone not to be moved and then inspired by Rachel."